During the first week I lived in London, I took a walk down King's Road in Chelsea. A young lady whizzed by on a bike that had a wicker basket attached to the handlebars. It looked like it was right out of a Hugh Grant romantic comedy. I figured it was just a one-off. After awhile, though, I started seeing bikes with wicker baskets everywhere. And the baskets were real wood, wicker -- not some fake plastic substitute made in China. Often the wicker baskets were attached to the bike's handlebars with beautifully constructed leather straps. 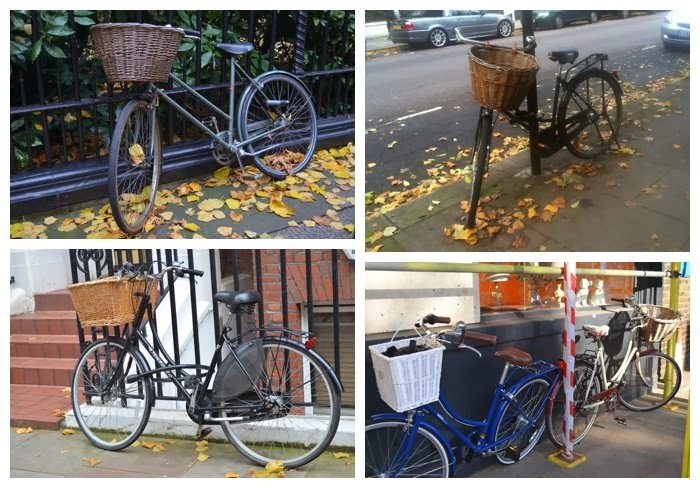 There is something so incredibly British about these bike baskets -- how proper they look -- the willingness to spend the money and take the time to find an aesthetically pleasing, nicely crafted real wood wicker basket.